Consistently paying your rent on time is the easiest way to become a favored resident with management. It also provides a documented track record that works in your favor for future rentals or home purchases. Even one late payment can tarnish an otherwise spotless record. Here are some great tips from our on-site management team that will help you stay on track, even if you don't have a memory like an elephant. Sounds like a no-brainer, right? Sadly, some people are a little too casual about their financial obligations and they consider due dates to be suggestions, not commitments. Carefully review your lease and make sure you know the due date as well as any grace periods that are offered and what the penalties are for late payment. In a matter of minutes, you can set up electronic rent payments that process automatically each month. The system is virtually foolproof and takes the burden off your memory. All of our Springs luxury apartment communities accept online rent payments for your convenience. Calendar apps on cell phones and tablets allow you to set up customized alarms that can repeat over a specified time frame. Start a week ahead of the due date so you have plenty of notice, then add a couple more reminders at select intervals. 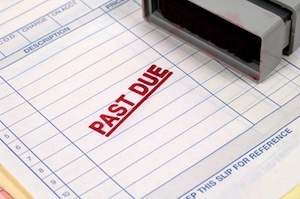 Is the rent due date at odds with your paycheck schedule? Or maybe you had some unexpected expenses that busted your budget. Most banks provide optional overdraft protection by linking a checking account to a savings account or line of credit. This ensures that rent can be paid in full even if you're temporarily short of funds. Two (or more) heads are better than one. If you share your apartment with friends or family, you can remind each other about rent due dates. You might even want to set up a plan where responsibility for rent rotates among members of the household. Life doesn't always cooperate with our carefully laid plans, so there may come a time when a financial emergency stands in the way of timely rent payment. Stop by and talk to a friendly member of our on-site management team, who will be happy to help you review your options.